I've just come from the banquet concluding the big reunion here in Baraboo where we presented the 2008 Clownalley.net Awards. Karen DeSanto presented the Joe and Chester Sherman Award to Jay Stewart and Mike Smith. Steve Smith introduced Dolly Jacobs who presented the Lou Jacobs Lifetime Achievement Award to Michael "Coco" Polakovs. Despite some technical glitches and a woefully inadequate host, the presenters and the recipients made the evening memorable and I hope that Mike, Hazel and David leave knowing how deeply we all appreciate their joining us here at the reunion. show at the CWM's Hippodrome with Mr. Bill Machtel in the background. 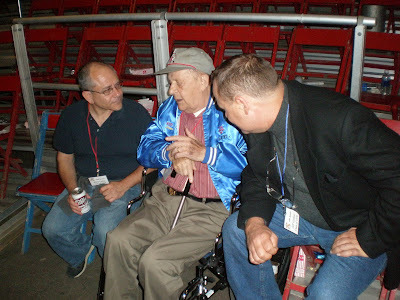 Barry Lubin, Michael Polakovs and Jeff Gordon discussing circus and clowning after the show. Many of the world's best clowns will be in Baraboo this weekend as they hold a 40-year reunion of Ringling Bros. and Barnum & Bailey Clown College graduates at the Circus World Museum. 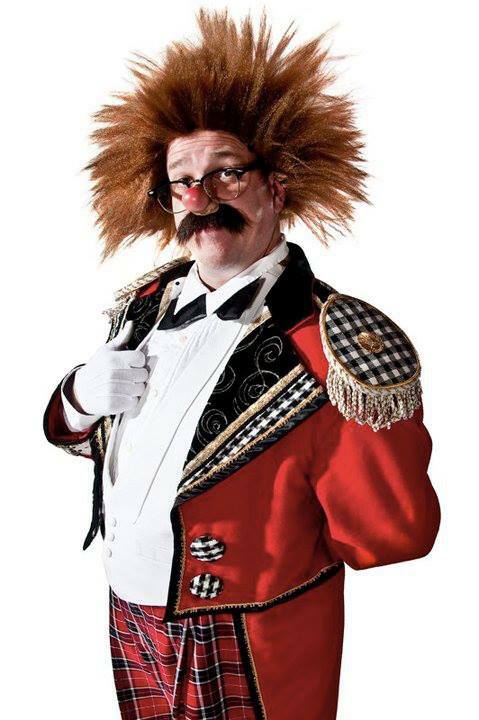 Tonight at 7 p.m., the clowns will perform a show called "40 Years of Laughter" in the museum's Hippodrome as a benefit for Circus World Museum. On Tuesday afternoon, Baraboo professional clown Greg DeSanto and CWM volunteer Jeff Tobin were moving giant clown props around the museum's Elephant House as they set up exhibits on the history of the college and those who trained there. At least 165 clowns from the United States, Germany and Mexico are expected to attend the event, DeSanto said. 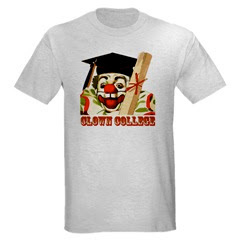 The Clown College was founded in Venice, Fla., in 1968, shortly after entertainment promoter Irvin Feld bought "The Greatest Show on Earth" from the descendants of Baraboo's five Ringing brothers, he said. 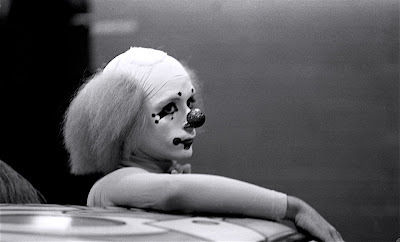 "When he looked at the show, there were 14 clowns working. 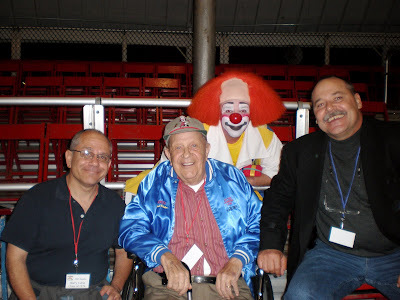 They were great clowns, but the youngest clown was in his 50s, the oldest clown was in his 80s," DeSanto said. "(Feld) saw that the art form was dying." 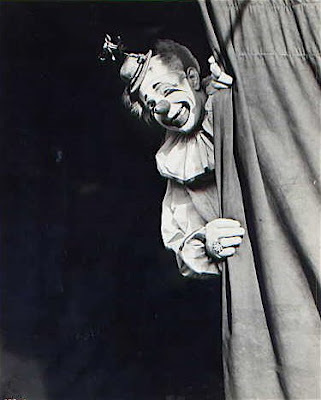 Feld set up the College of Clowns, later changed to the Clown College, so new performers could learn the arts of clowning from the old masters, he said. The college received 2,000 applications each year, but only 50 performers were selected to participate. The 10-week program ran six days a week. People learned about every aspect of being a clown — make-up, acrobatics and slapstick gags, even throwing pies, DeSanto said. 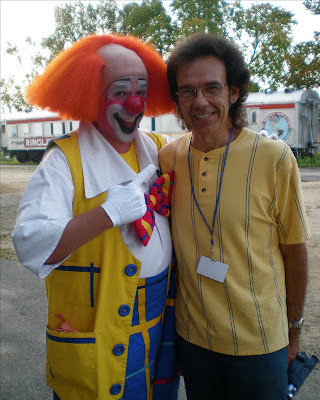 A 23-year veteran performer, DeSanto said he attended Clown College in 1985 and also taught at the program. 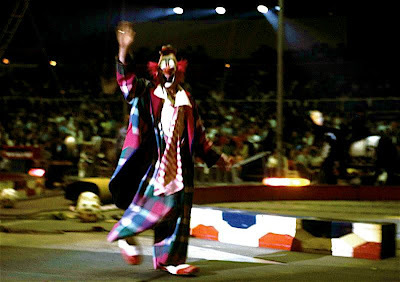 The Clown College ran for 30 years, mostly in Florida, but also ran for three years in the early 1990s at Circus World Museum. 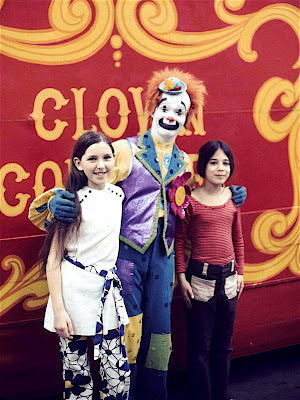 "It was the salvation of American-style circus clowning in America," DeSanto said. "I believe there were about 1,272 graduates from the college." 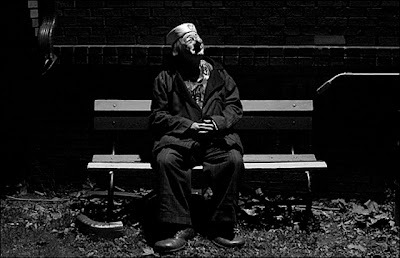 Even after the Clown College ended, various kinds of clown training programs continue around the United States, such as a clowning camp held periodically at the University of Wisconsin-La Crosse, DeSanto said. Among the circus clown memorabilia that is part of CWM's legacy of the Clown College is a prop pizza oven painted with the words "DeSanto's Pizza." DeSanto said he first used it in 1985 to create a routine in Clown College that the managers of the Ringing Bros. Circus liked so much they had him perform it for two years on the road. "At the end, I put my head in it and it explodes," he said. "A lot of kids remember it because there's a big explosion. "A lot of drama and a lot of flying powder and pizza dough," DeSanto said. 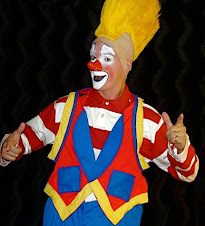 New Jersey clown Pat Cashin said he graduated during the Clown College's final year in 1997. He was in town to help set up the reunion, but usually works with the Kelly-Miller Circus. It is owned by John Ringling-North II, a descendant of Baraboo's Ringling brothers. 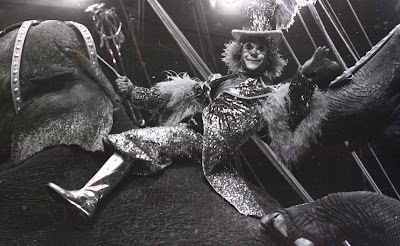 Cashin said he loved the circus as a child, but it was at age 29 that he won admission to Clown College and started a whole new life performing. It is hard work setting up his show and the gags, but he enjoys it. "It was the chance to start a whole new career," he said. "Once you get out in front of an audience, it's all worth it." 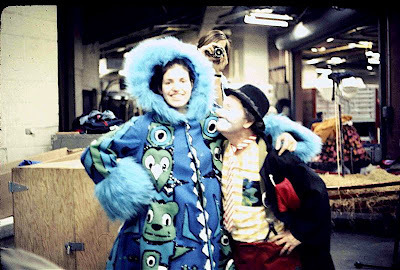 Greg DeSanto's wife, Baraboo professional clown Karen DeSanto, said she was a California resident who already had her own clowning business with several employees when she auditioned to come to chilly Wisconsin for the 1993 session of Clown College. The program began each year after CWM's performance season closed at the end of summer, and she remembers celebrating Halloween in Baraboo. Clowns have to learn many of the circus skills to perform their gags, she said, but for her the toughest thing was learning acrobatics. "I could never do a cartwheel as a kid," Karen said. "When they told me I had to fly on a trapeze, and I had to swing in a thing called a Russian swing and I had to do triple stand, stand on somebody's shoulders and somebody stand on my shoulders, I said 'you got to be kidding me.'" Despite, not being "built for it," Karen said she learned those skills. Clown College provided the foundation of her future life, DeSanto said. 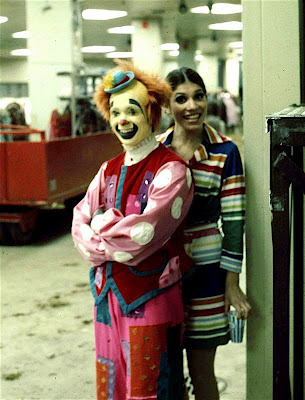 She and Greg lived for a time in New York City and have traveled around the world for clowning performances. "It broadened my horizons. I've traveled the world doing this," she said. 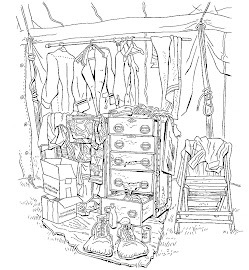 "The circus opened up a whole world of experiences and friendships." 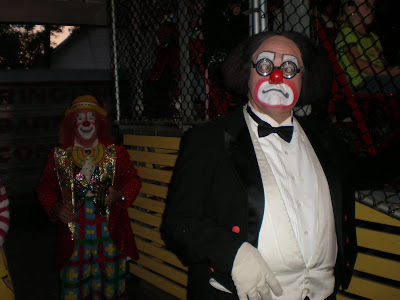 Greg was an instructor at Clown College, and after the course both of them were selected to travel with the Ringling Brothers "Greatest Show on Earth." While working together, romance blossomed and they were eventually married. "We both thought each other was funny, and you know what happens then," Karen said. Cashin said people coming to "40 Years of Laughter" will be seeing some of the most talented, experienced clowns in the profession. "There will be a greater collection of circus clowns here than anywhere in the world," he said. 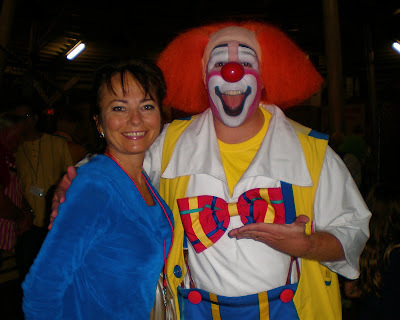 Karen DeSanto agreed some of the best clowns in the world are in Baraboo this weekend. "Clowns from all the years of Clown College who have worked in the business all these years will bring their talents to Baraboo to perform," she said. "It's going to be an outstandingly funny, great show." Dolly Jacobs, Mike Coco and Greg DeSanto. 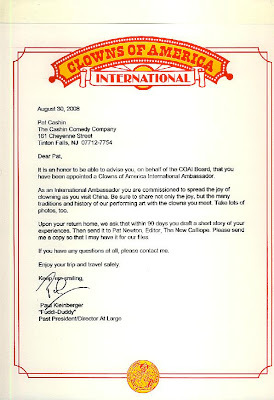 I've recently been appointed an International Ambassador by Clowns of America International. I'm quite honored to be venerated thusly and thank Paul Kleinberger and COAI for deeming me worthy of such meritorious distinction as to be selected to act as one of their emissaries. 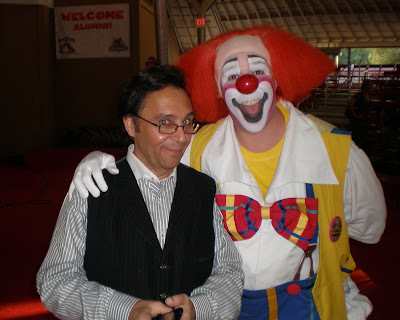 Click here for a very nice article on International Clown Hall of Fame inductee Michael "Coco" Polakovs joining us here in Baraboo, WI for the Clown College reunion and on being awarded the Lou Jacobs Lifetime Achievement Award. I arrived in Baraboo just before midnight on Monday, got to the hotel and immediately fell asleep. Got up Tuesday morning and headed over to the Circus World Museum, met up with Karen and Greg and started to help hang some of the amazing collection of photos around Elephant Barn. I went to Menards for supplies and candy. ALL of the Clown College props, big and small, that the museum has (Disneyland clown car included) came out of storage, Tedrick came by and we went to lunch at Subway. We got back to the Museum in time to meet Ralph Pierce, who promised more circus memorabilia and more candy. Greg and Tedrick headed over to the Hippodrome to discuss the Friday night show; Tuba came by; I walked around the grounds (it was a perfect fall day) to see some of the wagons; Emily came over after school and the rest of the photos got hung. We closed up and headed back to the DeSantos' house for a little bit before Greg and I met up with Ruth Chaddock and Peggy Williams for dinner at the Log Cabin. On the way back Greg and I stopped at Tim Tegge's house, ostensibly to discuss this week but more so I could finally meet Tim face-to-face and see some of his amazing collection. There are almost 175 attendees coming. The list (and quality) of videos being shown is mind-blowning, the photos, props and memorabilia on display is unprecedented and the public show on Friday night will showcase some of the greatest circus clowns in America. This is going to be an absolutely phenomenal, once-in-a-lifetime event. Greg and Karen have done a staggering amount of work here and are about to pull off something truly extraordinary. Patrick Austin with Sam the Wonder Dog. There are a lot of people that I need to thank for their assistance in making this year's award ceremony a reality but one person in particular really deserves to be singled out... Mr. Victor Ruiz. B A R A B O O !!! 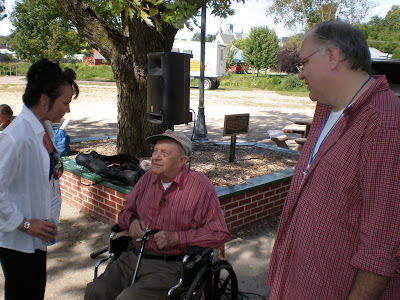 I leave today for the reunion in Baraboo. a man that every graduate owes a great debt to, Danny Chapman and a friend. today an International Clown Hall of Fame inductee, Keith Crary. 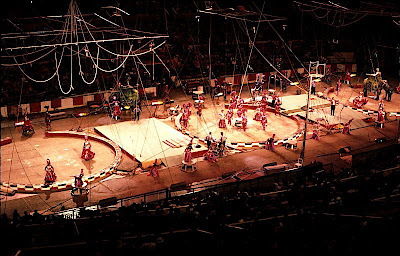 Three rings, two stages: the Greatest Show on Earth the way it was meant to be! Ladies and Gentlemen... the one and only Lou Jacobs! 36 seconds in you will see my pal Gary Spear. I just spent the weekend bumming around at Clownfest with Gary's brother and his dad. The Spear Specialty Shoe Co. has a link on the right hand side of this page and is the only place on earth that you should even think of going for professional clown shoes. The very, very best... hands down.